I was wondering what to write about in my blog this week and when I came into the office my business partner told me a nice little story which triggered some memories and a nice little topic to touch on and clear the misconceptions. In short he had gone to a birthday party with his kids and while there and speaking to some of the other parents it landed up in a conversation about nutrition. Being the managing director of 32Gi he was told that the products were not suitable for endurance athletes following a ketogenic diet. The strange conversation he had with them about ketosis made me realize that many of the keto converted did not really have much intimate knowledge about their own eating regime either. He told me the story as he knew full well that I personally was fully ketogenic for a very long period of time before it even became well known in South Africa. Not just following a keto diet but I ran blood tests pretty much weekly and sometimes daily to ensure my ketone levels were correct and that I remained completely adapted. My reasons for going keto was an attempt to battle an illness that seemed to rear its ugly head quite regularly and I was attempting to subdue it. Being an endurance athlete I had to balance my ketogenic diet with my training and ensure that everything was on track to keep me healthy. I will get to the workings of it later, but in the mean time I want to share a story of my own with you. 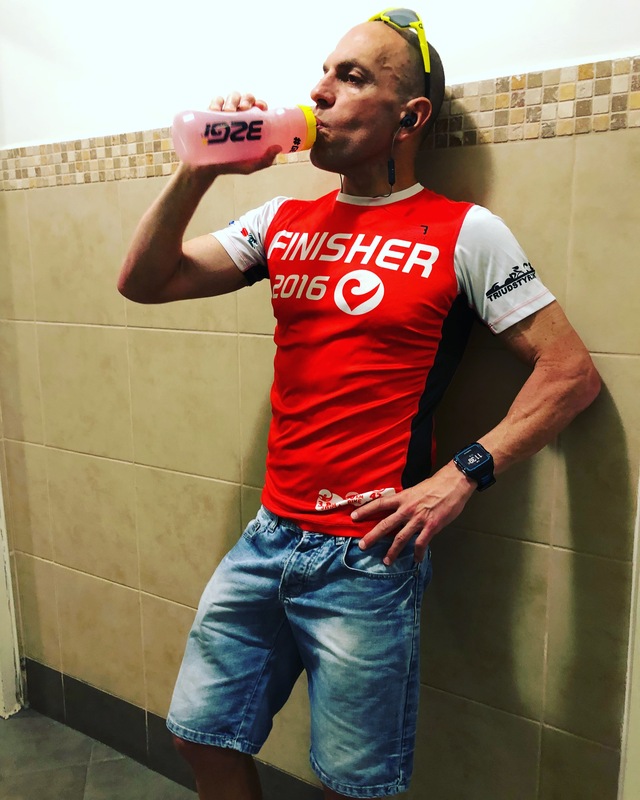 Many years ago I was standing at an Ironman expo when an athlete approached me asking me for a product that did not cause any excessive rise in blood sugar as she was keto adapted and would never consider any gels for her race. While I was talking to her, her coach who is a well known top finisher in Kona came to me and said “what are you going to tell her Mark?” I smiled and I said “I am actually not going to tell her anything until I know more about her situation”. I then asked her how long she had been on a ketogenic diet for and the answer was just over three months. I then asked her if she was sure that she was in a state of ketosis. Her answer was most definitely. I asked her how she knew this and her answer was because she could feel it. I then asked her if she would mind if I tested her to make sure she was in ketosis. She looked at me and said “how will you do that?” My reply was a simple “I am going to take some blood from you and test it”. They both looked at me as if I was mad. 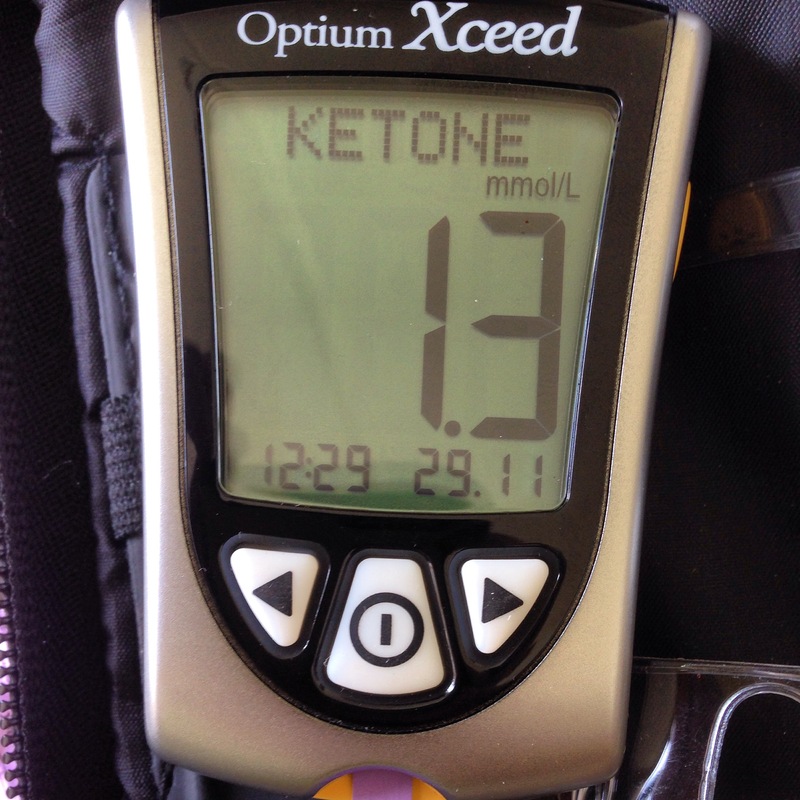 I of course needed to know for sure so I pulled my ketone meter out of my bag, ran a finger prick test and the ketone reading came up at 0.1 mmol/liter. I turned to her coach and said “please give her some gels as we do not have gels in our range yet and I think she is gonna need them”. He was extremely surprised I had pushed a potential customer away to a competing brand in order to make sure she got the correct fuelling on the day. One thing about me is I am completely honest in my approach to endurance sport and especially nutrition. A level of 0.1 mmol/liter is so low there is absolutely no chance she was close to ketosis or the ability of primarily using any fat for fuel even if she wanted to. If I work with an athlete who is in a state of ketosis a level under 1.5 mmol/liter would make me unhappy I would want them to be even higher. That is to me the base level for proper ketosis. I have run hundreds of blood tests over the years and unfortunately disappointed one person after the next in that they were nowhere near a proper fat burn zone. It is not entirely their fault, its just that they had absolutely no idea how to eat properly while on a ketogenic diet. That particular athlete insisted on low to no carb fuelling and eventually hit a massive wall on the bike course ending her race. I sometimes hear people telling me its a high protein diet? Nonsense. All diets require protein and intake needs to be measured properly. Even overeating protein can cause a rise in blood sugar and offset a state of ketosis quite easily. A ketogenic diet is all about the balancing act of limited carbohydrate intake and sufficient fat intake. 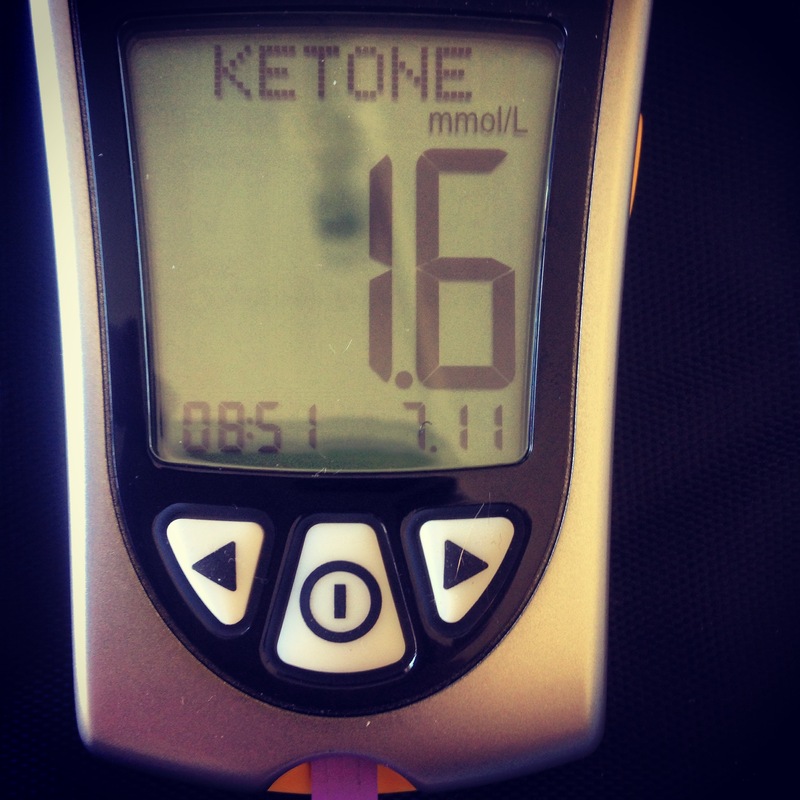 I have seen so many errors when it comes to eating for ketosis. Excessive protein, too much dairy, hidden and elevated carbohydrate intake or excessive fat intake. If you embark on this journey then you need to understand exactly what you need to take in and as I have written in a previous blog Bloods don’t Lie. So in short let me get back to keto and carbohydrates because this was the major topic of the debate that my partner faced over the weekend. There is a big difference between fat efficient and being ketogenic. When I speak of fat efficiency for an athlete it means that he or she can oxidize a higher percentage of fat during exercise at higher intensities as opposed to a carbohydrate dependent athlete. 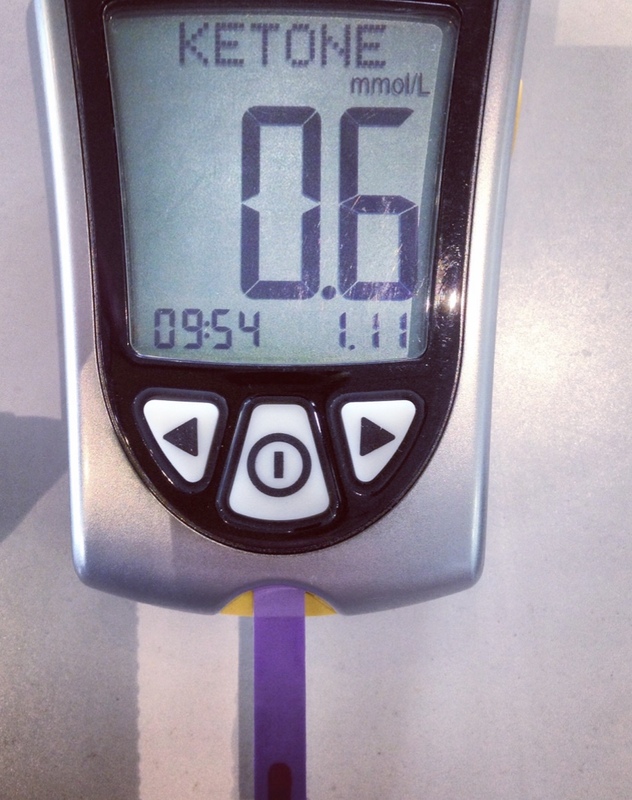 This does not mean that you need to cut out carbohydrates to be fat efficient. It is also a fact that at a high intensity there is no chance that if I put a carbohydrate feeding athlete next to a ketogenic fat fuelling athlete that the fat fuelling athlete will achieve the same power numbers as the carbohydrate feeder. You see there are two primary fuel tanks feeding the human body during exercise. One being glycogen (carbohydrate stores) and the other being fat. I call glycogen our rocket fuel, because when you want to put the hammer down and go you will need that fuel tank to fuel your efforts. The fat tank is more our diesel or long distance fuel, because it is what sees us over long periods of time and is primarily used at lower intensity efforts. During exercise over a range of intensities a combination of both are utilized one will just be more dominant than the other depending on the effort. This happens because in order to burn fat you require oxygen (aerobic) and under heavy intense sessions oxygen uptake is limited (anaerobic) and glycogen becomes the quickest immediate fuel for creating ATP to fire those muscles. I have done a nice little video explaining the fuel tanks you can check it out here talking about zone fuelling. The problem with glycogen is that it is limited fuel and can only last around 90 minutes to 2 hours in well trained athletes. In a fat efficient athlete maybe even a little longer. The reason for this is a fat efficient athlete has the ability to oxidize a higher percentage of fat at a higher intensity than a carbohydrate dependent individual thereby sparing more glycogen over time. Once the glycogen stores are depleted fat becomes the primary source of fuel and this is what we usually call hitting the wall or bonking. In the case of a fat efficient athlete this transition is pretty seamless and speaking from experience its like shifting gears. I cannot go at the pace I was originally going at but I can gear down and pace control without that painful feeling of my limbs not wanting to work. On the other hand carbohydrates consumed during exercise do spare glycogen and can extend the rocket tank that little bit more of up to around 30%. This is where the debate really starts. If I ingest carbohydrates during exercise am I preventing myself from burning fat? I will answer that in a moment but let us take a back step here. How do you actually become a fat efficient athlete? It is quite simple you train minimalistically and do some fasted training sessions to force the body to use it’s own internal fuel tanks without relying on any external fuel sources. You need to make sure you are not in a blood glucose elevated state when taking these sessions on. It does not have to be every single session but you start off small and build up and eventually over time you can adapt to a higher rate of fat burn. How does this work? Quite simple when there is no blood sugar elevation the body will rely purely on its own internal tanks fat and glycogen and utilize both as a source of fuel to their optimum. Over time the body will adapt to a higher rate of fat fuelling by increasing ketone production for energy with lowered blood glucose This can be mitigated by the introduction of carbohydrates as the body will use the available blood glucose for energy and lower the rate of fat oxidation. When it comes to sports performance I personally advocate carbohydrate periodization as it is better to reap the benefits of both worlds in order to achieve peak performance. In other words become an athlete that is both fat efficient and also has the ability to oxidize a decent amount of carbohydrates during exercise. This all comes down to training the gut and teaching the body to adapt to both situations. So why did I move away from a completely ketogenic lifestyle? Simple my immune system was just not coping with the volume of endurance training and the extremely low carbohydrate intake. My power numbers had also dropped but I could honestly see that over distance and controlled pace my ability as a fat adapted athlete was solid. However on hard intense endurance sessions the lack of power and inability to recover as fast as I wanted to just were not there. So I worked very hard at combining a low carbohydrate lifestyle with carbohydrate periodization depending on the duration and intensity of training. I measured my carbohydrate intake during and after exercise and the idea was to consume carbohydrates in a way that would keep me a fat burning machine but allow for fast recovery and better energy levels during sessions. My regime brought back some decent power numbers, improved recovery rates and a much stronger immune system. In actual fact it became months and then years of not succumbing to major colds flu and illness. 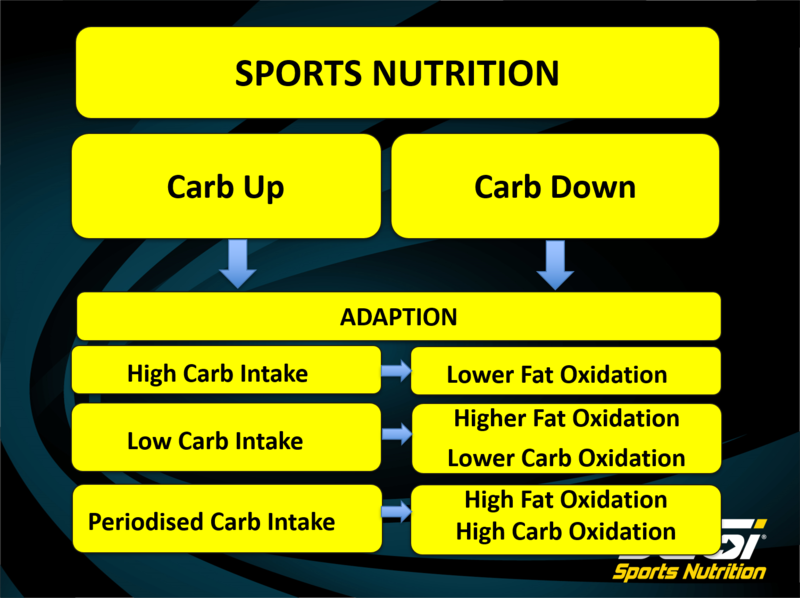 Carbohydrate periodization is not a new concept and is widely used by many and something I highly advocate. It is clear that periodizing carbohydrates will give you the best of both worlds allowing for high fat oxidation as well as high carbohydrate oxidation. I can tell you from experience that if you are on a low carb only regime your to carbohydrate oxidation ability is limited and the risks of gastrointestinal distress is a lot higher. As for a high carbohydrate regime yes your ability to oxidize a decent percentage of fat during exercise is limited. Periodization provides the benefit of both and its been demonstrated many times over in the world of endurance sport. So now I am going to show you ketogenic folk something interesting which will further enlighten you. I mentioned earlier that carbohydrate consumption during exercise can limit the rate of fat oxidation. Below are blood ketone measurements taken with my ketone meter post exercise while consuming carbohydrates during exercise. 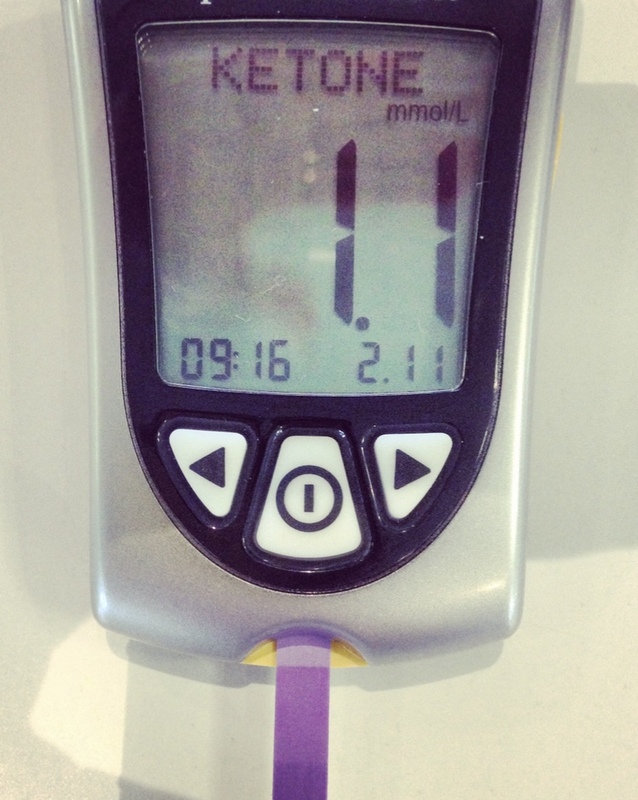 The first ketone measurement (far left) below taken was post exercise after a recovery meal consisting of 40 grams of carbohydrates (rolled oats) and 24 grams of protein yes my ketone levels dropped but not out of a fat burn zone and within an hour after the meal they were back up to over 1. The other three measurements were taken pre-recovery meal. These exercise sessions were anywhere between 2 to 4 hours in duration. The interesting part is that I ingested carbohydrates in the form of 32Gi Endure on two of the days taking in around 30-40 grams of carbohydrates per an hour while in the last two I used the 32Gi Chews taking in 3/4 of a bar in 60 minutes (+- 25 grams per an hour) along with the Endure sports drink. The above clearly demonstrates that consuming the carbohydrates during exercise had little impact at all to my ability to oxidize a high rate of fat. Over and above that I had the additional benefit of carbohydrate intake to help with fuelling. There were some days where I increased the carbohydrate intake per an hour up to 50 grams but the results did not change much. I do agree that consuming a very high amount of carbohydrates and also much quicker releasing carbohydrates will have a higher impact on fat oxidation. However the carbohydrates used in the 32Gi Endure range do not raise blood sugar significantly so as not to cause a major impact to fat oxidation ability. You need to remember that not all carbohydrates are created equal and the type and volume of a carbohydrate consumed will determine the over all impact. The above study indicates that. So back to the weekend debate. It is a fact that an endurance athlete that is fat efficient as well as able to oxidize carbohydrates at a good rate will in a perfect world have the upper hand on any athlete that falls either side of the scale. PS: 32Gi Hydrate contains no carbs at all and is my go to on days where I do fasted training sessions.